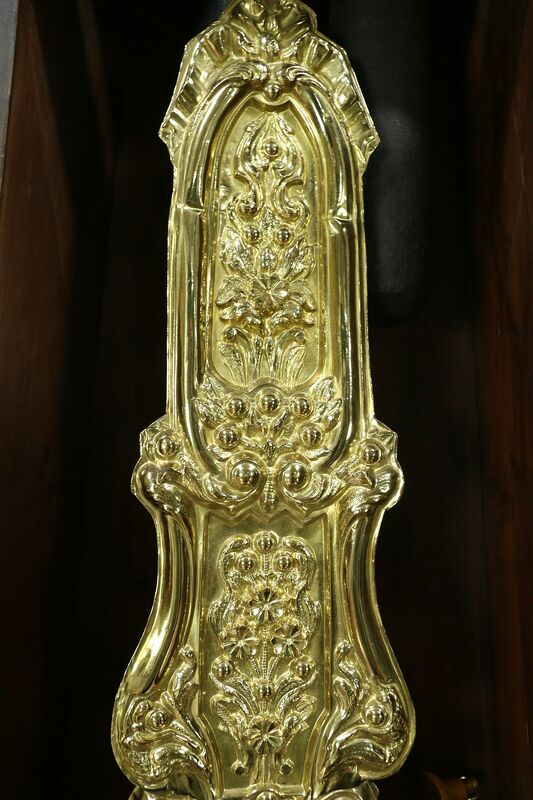 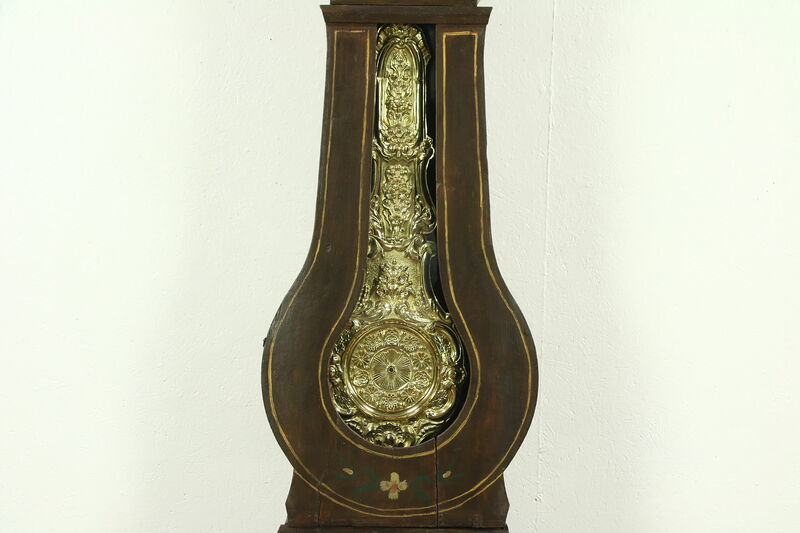 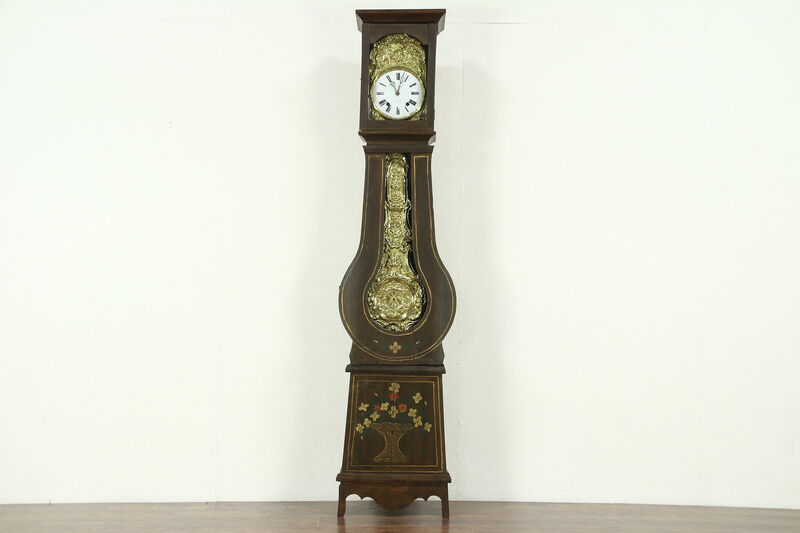 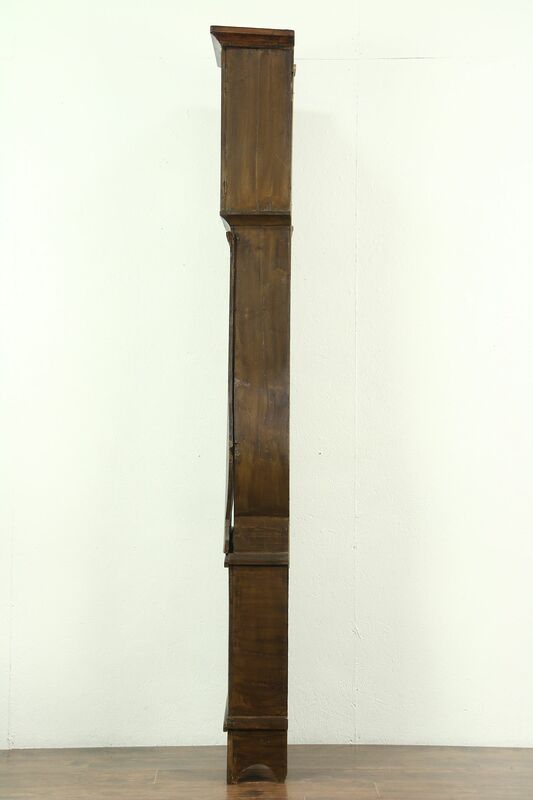 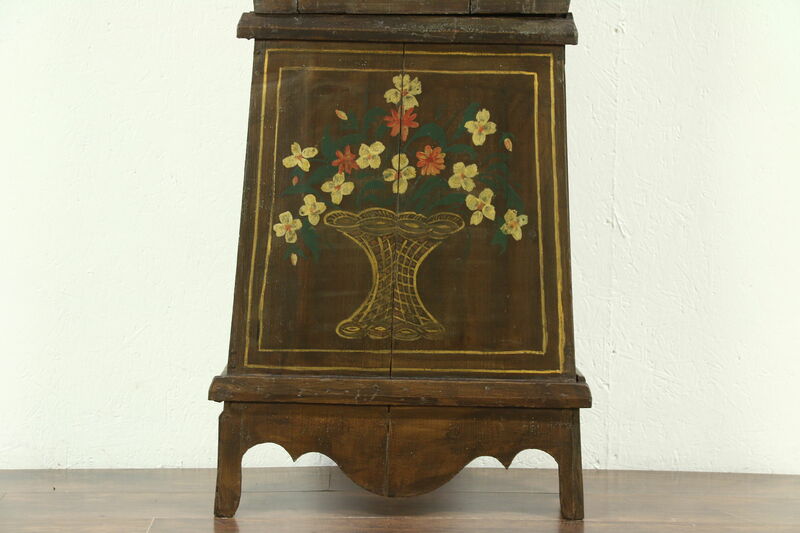 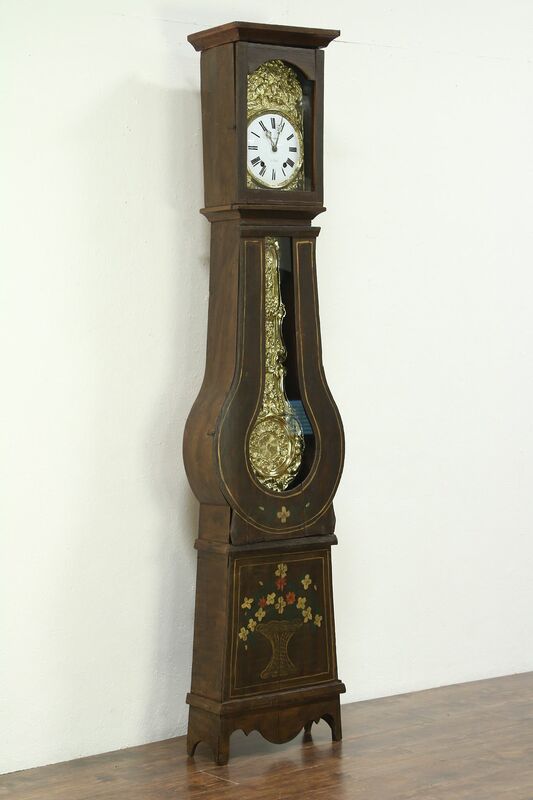 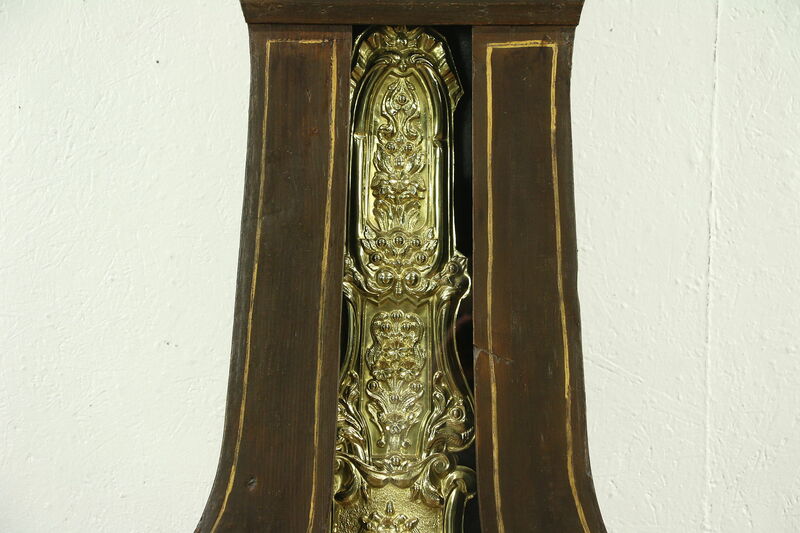 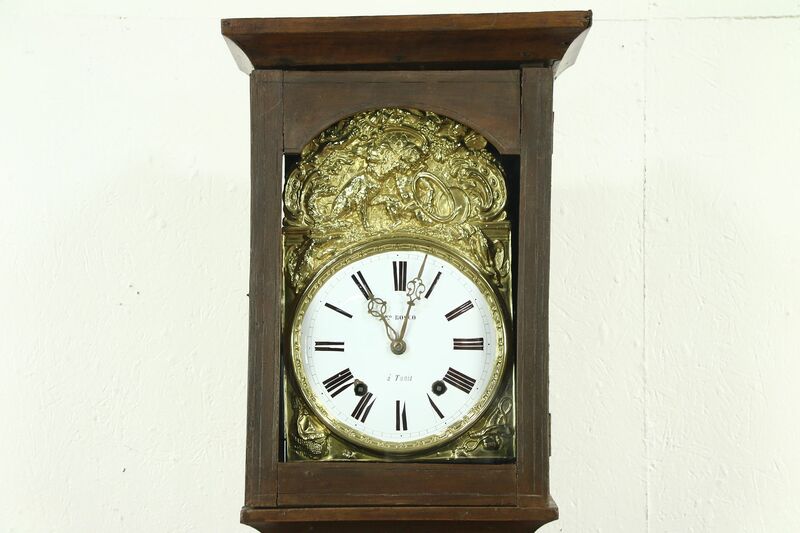 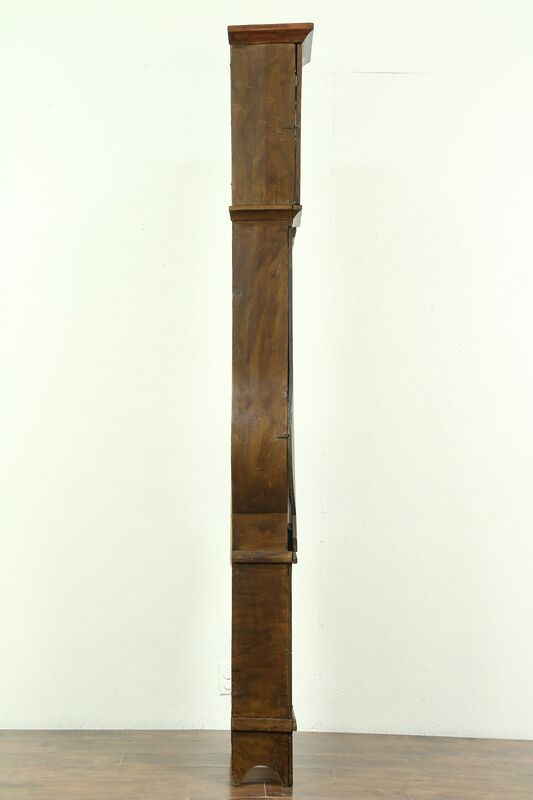 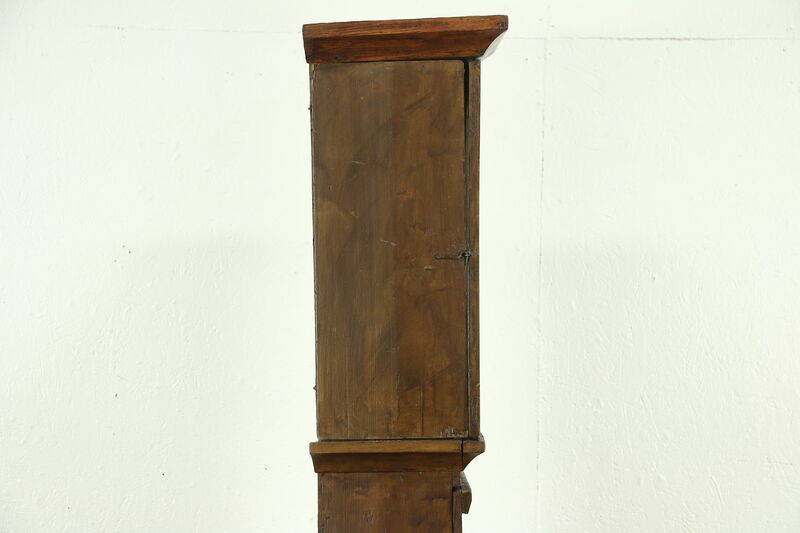 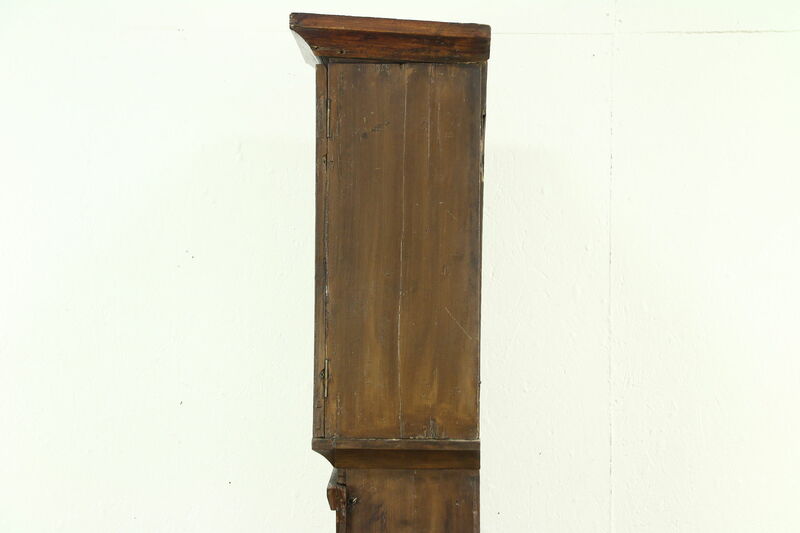 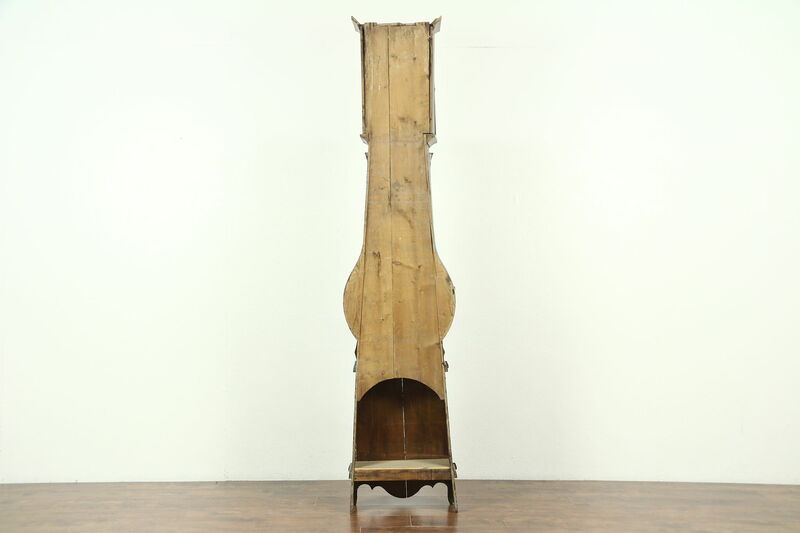 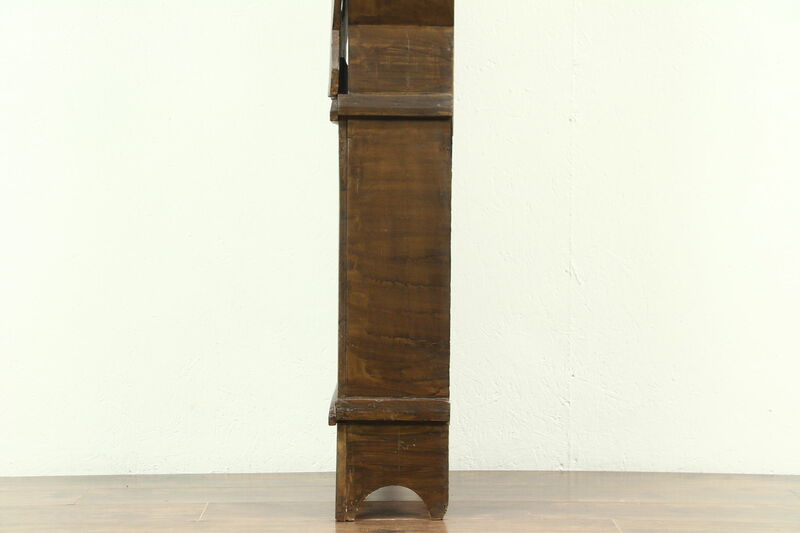 A classic French provincial tall case clock from the 1880's has a hand painted pine case and is signed by the maker "Fco (Franco) Bosco a Tunis." 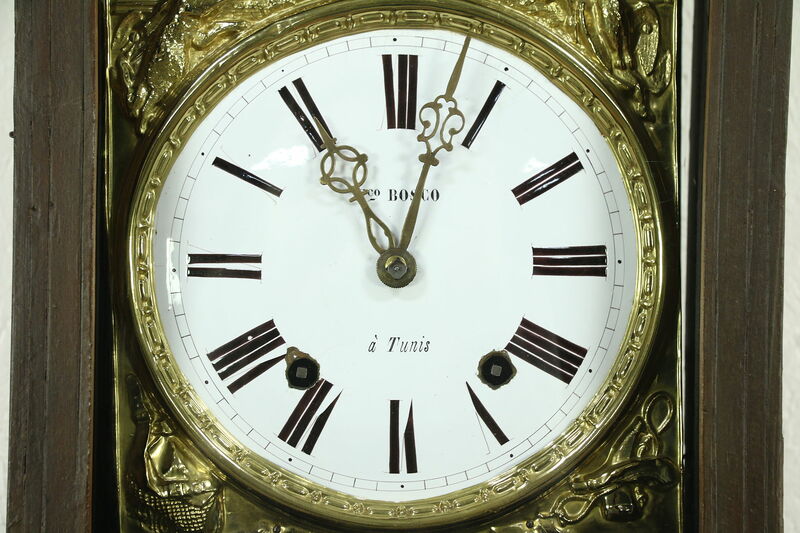 Colonial Tunis, the capital of Tunisia in North Africa, was considered a part of France. 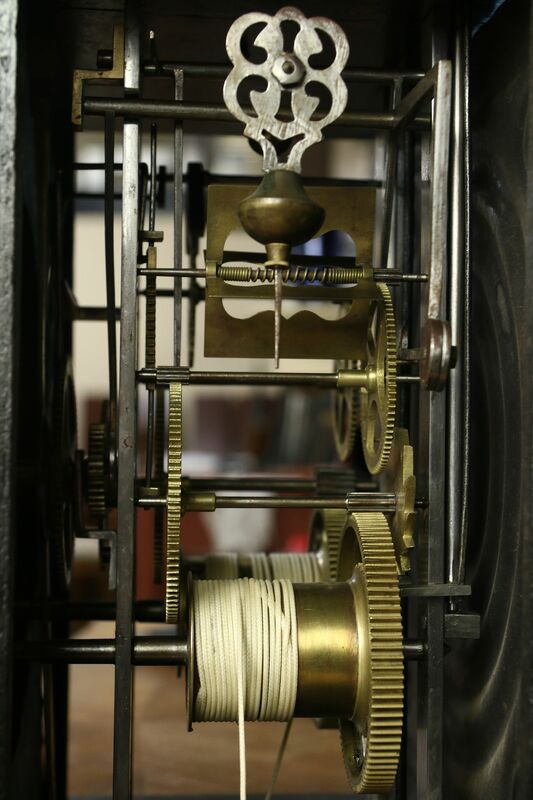 Professionally cleaned and oiled, the original "Morbier" design movement is mounted in a traditional tin box, and keeps accurate time for a week on a winding. 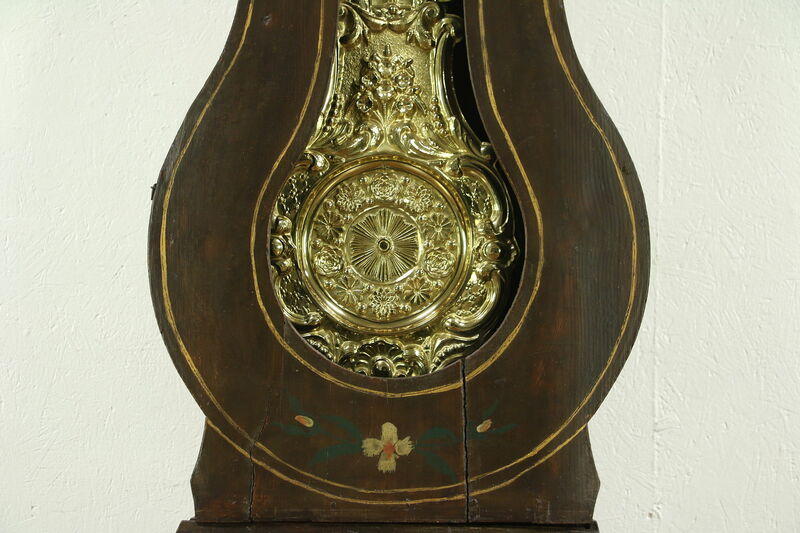 This Country French farmhouse clock has a bold gong counting the hour, and repeats again a few minutes later, in case you weren't paying attention, and also sounds the half hour. 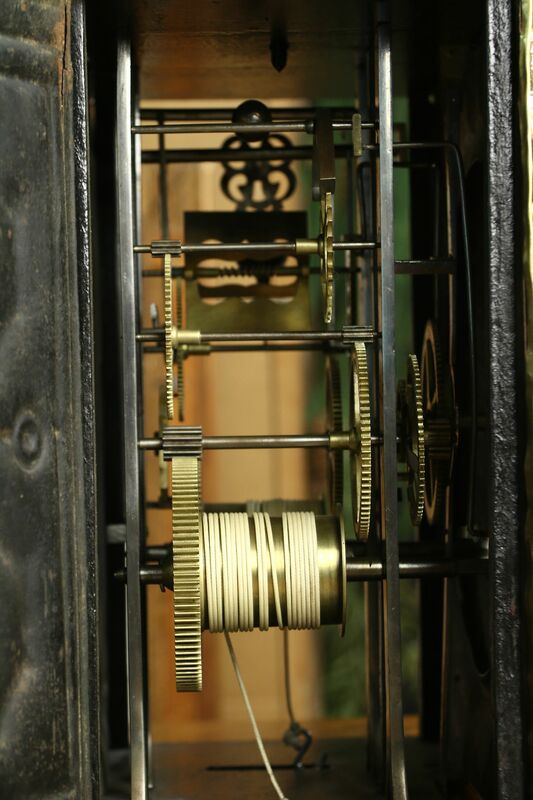 Deeply embossed brass mounts on the pendulum and around the dial are original as well, polished and lacquered. 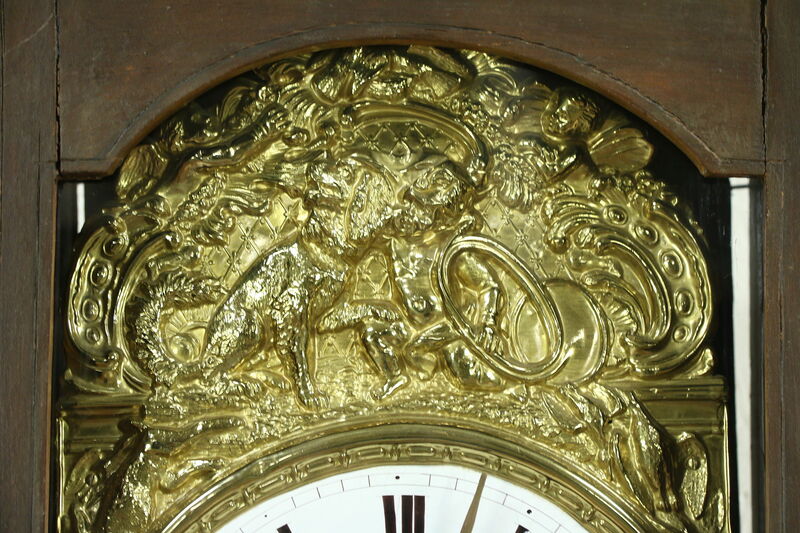 The enameled dial is hand painted. 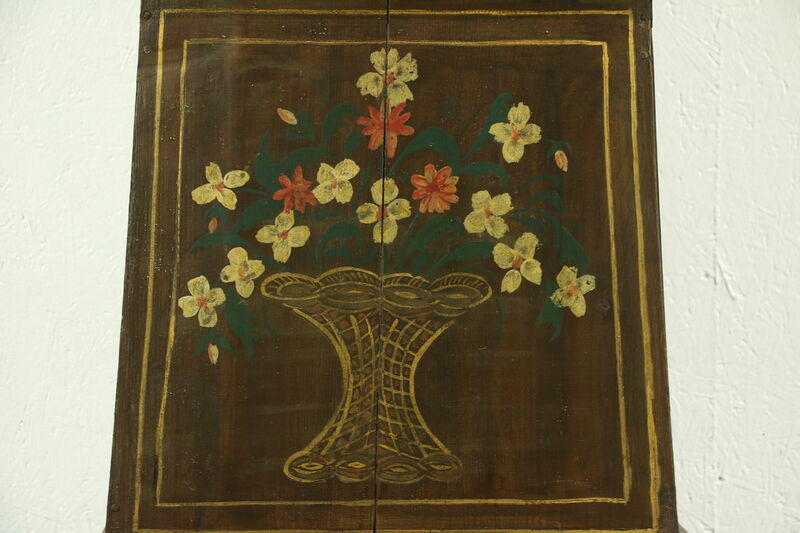 The rustic case has original folk art painting with minor touchups. 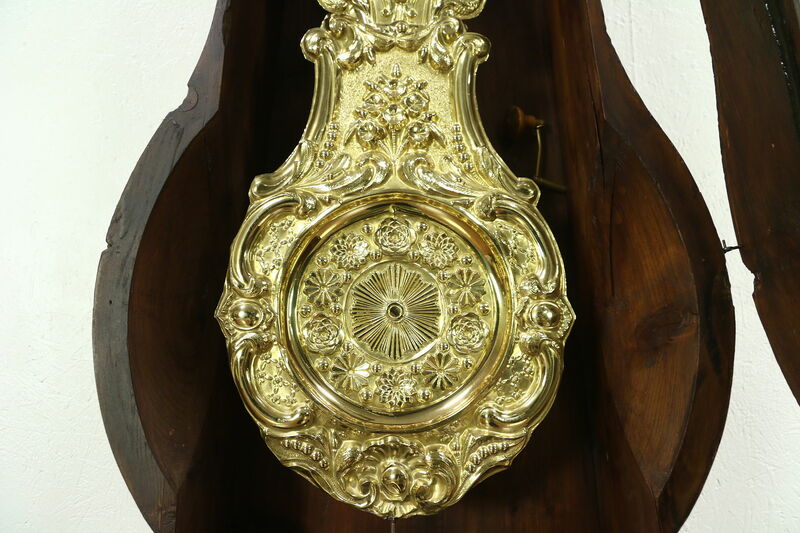 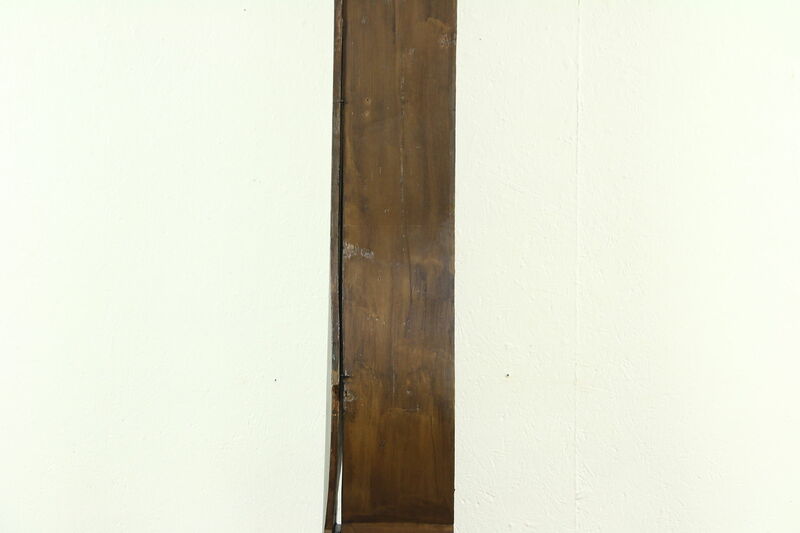 There are restorations and shrinkage separations from age, preserved with clear varnish. 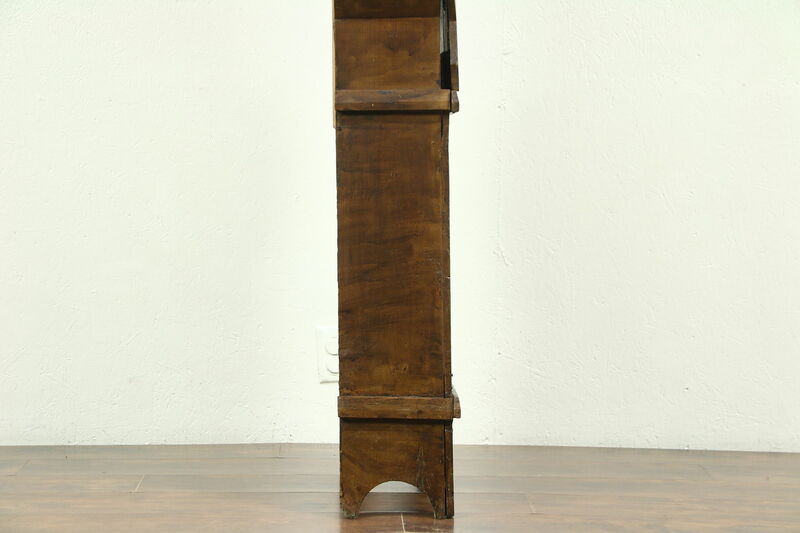 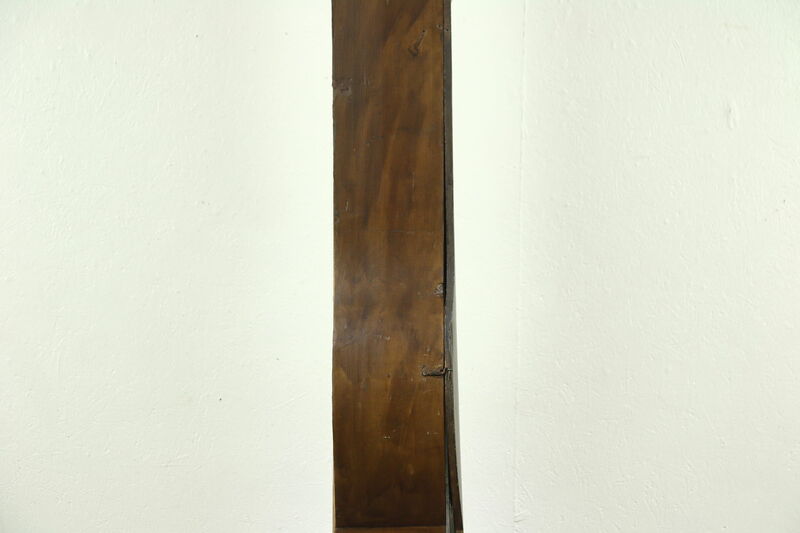 Size is 22" wide, 9" deep and 94" tall.